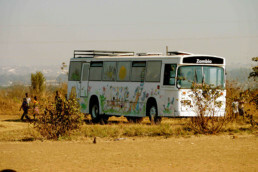 Our six Book Buses are the charity's international flagships; each an ambassador for our cause and together bringing joy and delight to thousands of children. You can adopt a Book Bus for yourself, or as a gift for a book lover, from as little as £5 a month for 12-months. 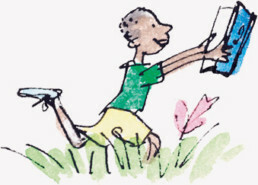 Your gift will mean a new generation of children can be introduced to the wonders of reading. Charlie was our first overland truck converted to a bus, and he’s still the largest. 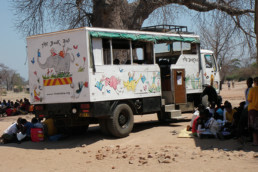 A lovely book mover, he has side-stepped hazards, humps and hippos to bring books to kids in remote parts of Zambia. He’s getting on a bit, and with expensive tyres and parts, he needs a little more TLC. Can you help keep Charlie in tiptop condition? Matilda is the newest member of the fleet and has settled in right away. She loves excitement and adventure and is not afraid to get her wheels dirty. She carries 2,000 books to schools in communities around Lake Malawi – that’s the third largest lake in Africa. Can you help keep Matilda on the road? 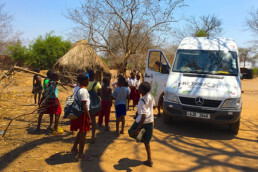 George started life as a police van in the Thames Valley and now working in the copper mining region of northern Zambia. 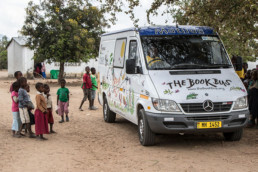 Not too big and not too small, he works hard to grasp the six main languages spoken in Zambia and delights children every week with the hundreds of books he delivers. 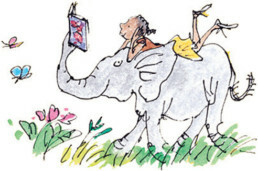 Can you adopt George and help him deliver books every day? 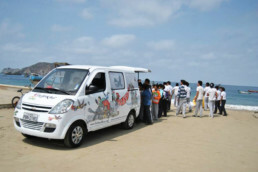 Is Alfie the fastest little book bus in the whole of South America? Alfie certainly thinks so. 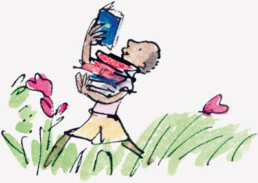 For a little fellow, Alfie carries a lot, 500 books in one go to be exact. He works tirelessly in and around Puerto Lopez in Ecuador, bringing reading pleasure and life skills to his friends, the children. Can you help Alife’s wheels to keep turning? Tiger likes to keep his cool these days as he sits outside Acacia School in Livingstone, Zambia. 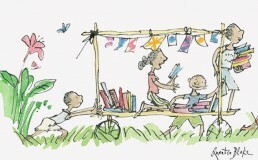 A static library, Tiger once roamed the roads of England before he was prepared for a new life as a Book Bus. Thousands of children have clambered aboard him to read, learn and have fun. Can you adopt Tiger and keep the library open? Adopt a bus of your choice from as little as £5 a month for 12-months. You can even add an extra monthly amount; just decide which bus you’d like to fund and click through to complete your adoption and we’ll send you your adoption pack. What is in your book bus adoption pack?